GORHAM — Sebago Brewing co-founder Kai Adams is excited about showing off his new brewery, which opens to the public Tuesday afternoon. See that glass spot in the system? That’s where a computer checks the cloudiness – or turbidity – of the beer. See that air valve over there? This system has 60 of them and they’re all computer-controlled. And do you see that giant sack holding 1,000 pounds of grain? That means employees won’t be lugging 50-pound bags around. The brewery, which sits close to the Westbrook city line on busy Route 25, will start production next week. 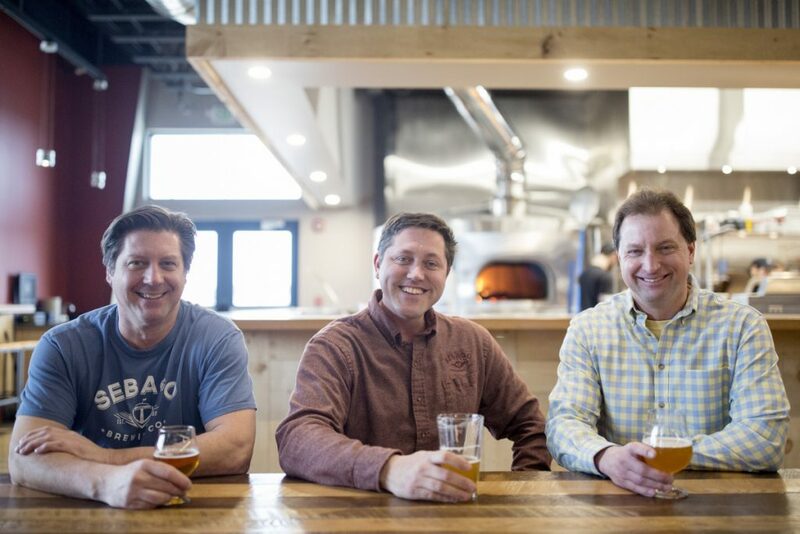 From left, Sebago co-founders Tim Haines, Kai Adams and Brad Monarch spend time in the new brewery’s tasting room and restaurant. 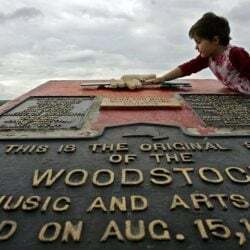 It all came at a cost – in fact, double the cost of what Adams and co-founders Tim Haines and Brad Monarch had planned on, although Adams would not specify the amount. They now have millions of dollars of debt, but Adams said Sebago had to make changes to keep pace with Maine’s dynamic beer scene. The new Sebago Brewing Co. operation on Route 25 in Gorham will open to the public Tuesday afternoon. It’s also a leap forward for Maine’s fifth-largest brewery in 2016. For starters, it’s just bigger. The largest fermentation vessel at its previous location – about a mile away – made 1,240 gallons of beer at a time. Now it has two fermenters that make nearly 5,000 gallons at a time – and capacity to add two more just like them. The increased capacity will let Sebago keep up with demand. During the busy summer season, Sebago has been brewing four times a day, five days a week. 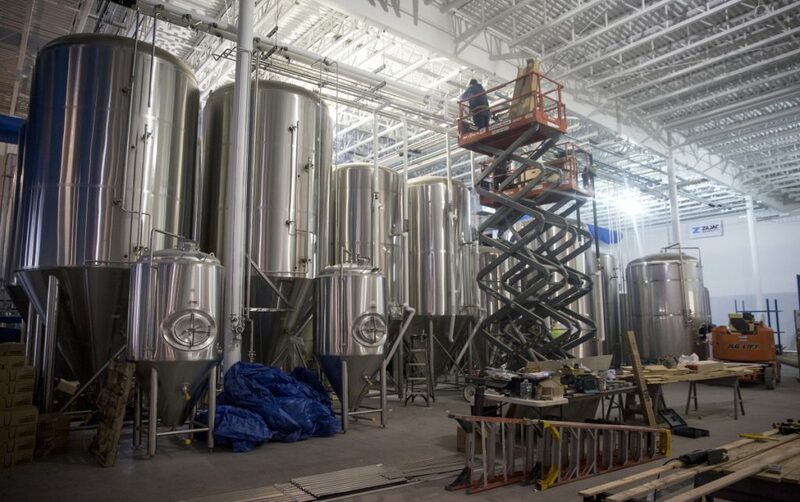 The huge new fermenters – and a couple of old fermenters – give Sebago 30 percent more capacity. But that’s not the point. “It’s not about making more. 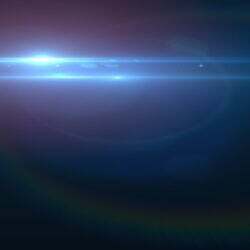 It’s about making it better,” Adams said. It’s also about innovating. Sebago faces the challenge of distributing its flagship beers to gas stations and grocery stores while beer consumers are increasingly chasing unique, small-batch brews. Maine had at least 112 breweries operating in 2017, according to data provided by the state. Twenty new breweries started operating in the first 10 months of 2017 alone. Many of those breweries are clustering around each other, which is why Adams pushed for Lone Pine to take over Sebago’s old facility about a mile away from the new brewery. With Westbrook’s Mast Landing and Yes Brewing nearby, Adams envisions a tourism hub akin to Portland’s Riverside neighborhood, which has five breweries and a sixth being built. Maine is part of a national trend of beer tourism. According to the national Brewers’ Association, beer drinkers visit an average of 3.5 breweries per year near their homes and another 2.5 breweries a year within two hours of their homes. 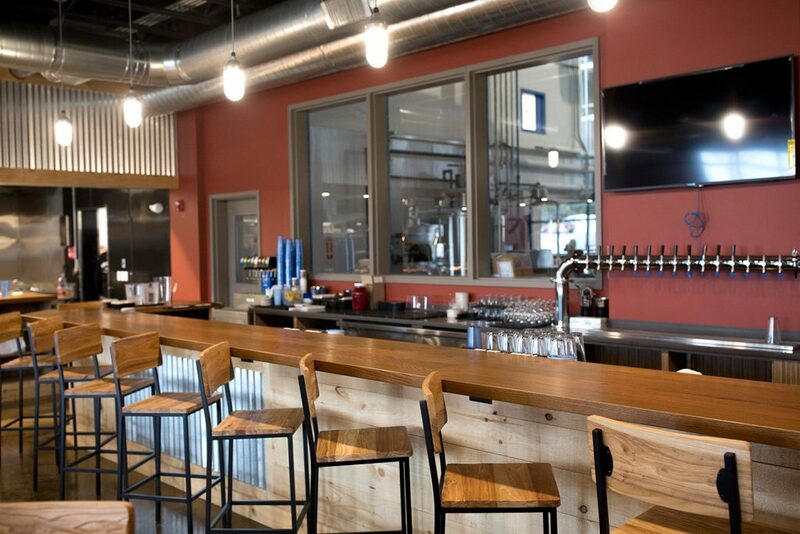 The bar in the tasting room and restaurant at the new Sebago Brewing operation in Gorham. Once Sebago’s brewery is up to speed, Adams plans to unleash his creative team on its new 155-gallon pilot system. While the big tanks will be making stalwarts like Frye’s Leap IPA and Simmer Down, the smaller system will produce kettle sours and single-hop beers to try to keep up with trends in the market. Sebago will showcase all of its beers in a new tasting room. It’s filled with a variety of natural wood and windows that look out into the brewery. If that sounds familiar, Adams notes proudly that Sebago hired the same architect that designed Allagash Brewing’s tasting room in Portland. The open kitchen features a wood-fired stove. The menu – which focuses on appetizers, sandwiches and pizza – will change every two weeks. But, proud father that he is, Adams wants visitors to focus on the 16 taps. They’ll feature eight regular beers as well as four beers that will only be available at one of Sebago’s brew pub locations. The last four taps? Those could be anything from a barrel-aged barley wine to a Belgian ale. The point is to let the brewers experiment and show off. “It will be the exact definition of what craft beer is: I have something you don’t have,” Adams said. Breweries have become an economic powerhouse for the state. According to the Brewers’ Association, the beer industry had a $476 million economic impact on Maine in 2016. The state’s overall production of beer ranked 18th in the country. Sebago has been among Maine’s seven-largest breweries every year dating back to 2006. In 2016, Sebago’s production rose nearly 22 percent while five of the breweries in the top seven suffered double-digit drops. And that was with an outdated brewery. 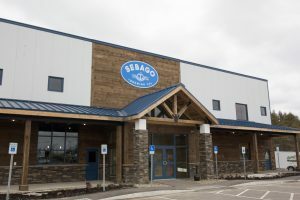 Sebago’s new spot has added capacity, but Adams emphasizes the quality control. All those air valves and computerized checks are geared toward maintaining a high level of quality in Sebago beers. Adams grins as he shows off a new sensory evaluation area where staffers will taste beer samples to test for off flavors. There are three seats with a small shelf in front of them and a hole in the wall, where beer will be passed through so the tasters don’t know what they’re getting. Yes, Allagash has a tasting area just like it. All the quality checks are necessary, Adams said. With growth comes pressure to make sure the brewery’s beer is perfect every time. “We can’t screw up 160 barrels of beer – 160 barrels is a lot of time and a lot of resources to pour down the drain,” he said.